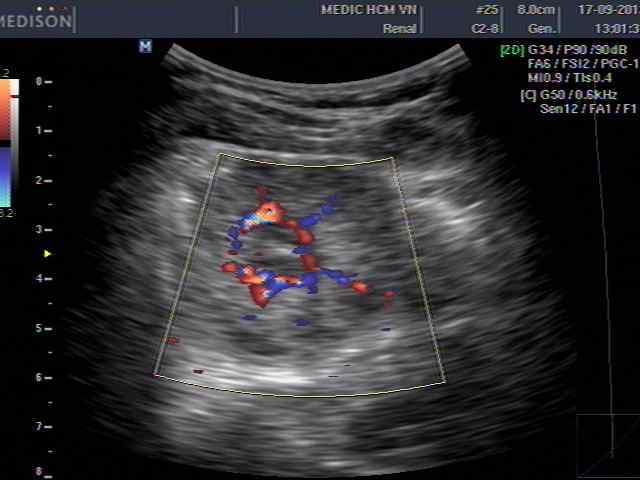 Female patient 23yo, pain at right flank, came to MEDIC for ultrasound of abdomen. 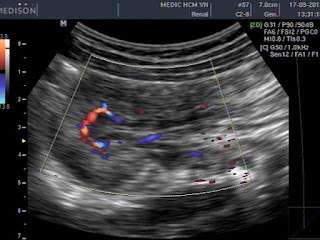 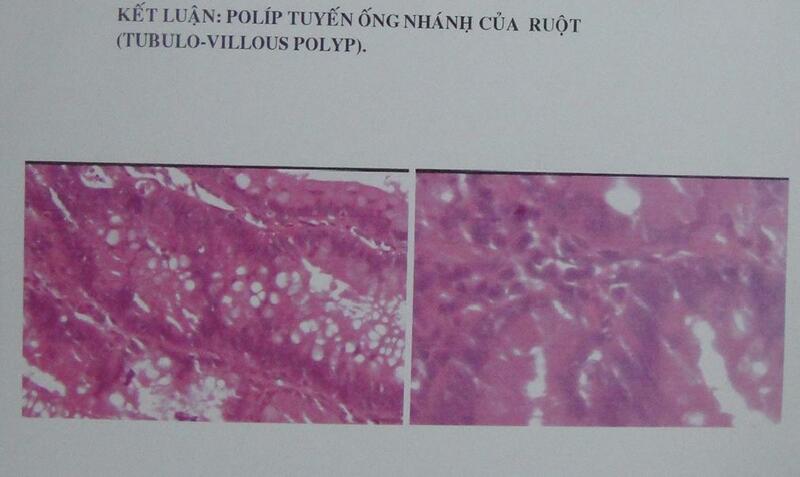 Ultrasound detected an uncomplicated intussusception of right colon, maybe due to a polyp of colon. 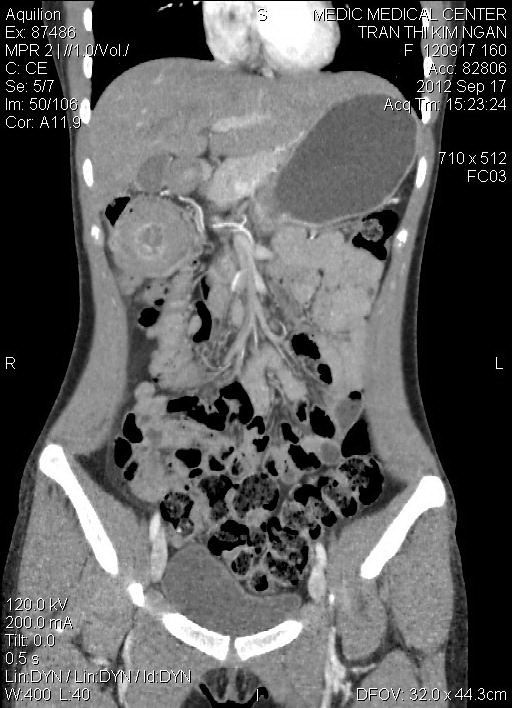 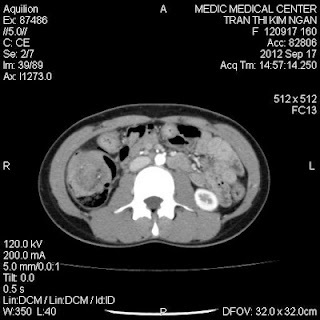 MDCT 64 disclosed a polyp of colon inducing an intussusception of ileum into right colon. Operation was done for hemicolectomy. Gross specimen proved a polyp of colon and microscopic result was a benign polyp.